At LSBU we can help you fast-forward your career. Through our postgraduate courses, you’ll benefit from teaching that equips you for the real world, courses accredited by professional bodies and academics who are industry experts. Discover our innovative and accredited range of postgraduate courses. Our extensive, cutting edge and highly specialist facilities. From state-of-the-art virtual engineering labs to our Business Solution Centre. 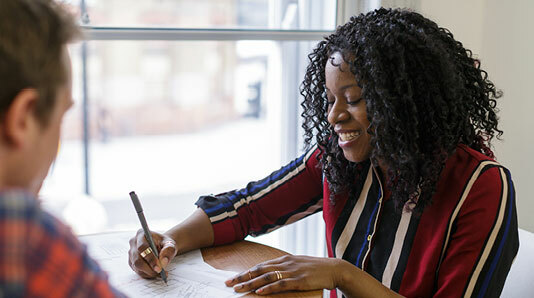 If you are starting a Masters course, studying either full- or part-time, from 1 August 2019, you may be entitled to apply for a postgraduate study loan. Find out more about postgraduate funding options. We want all our graduates to have the best possible chance of maximising their career success. Our LSBU Loyalty Award reduces the burden of further tuition fees and encourages our undergraduates into further study. Eligible students and alumni receive a discount on their postgraduate tuition fees when they enrol on one of our postgraduate courses starting this year. Find out more about our LSBU Loyalty Award.